Above: Celine Lynch at home in her Home Address office. 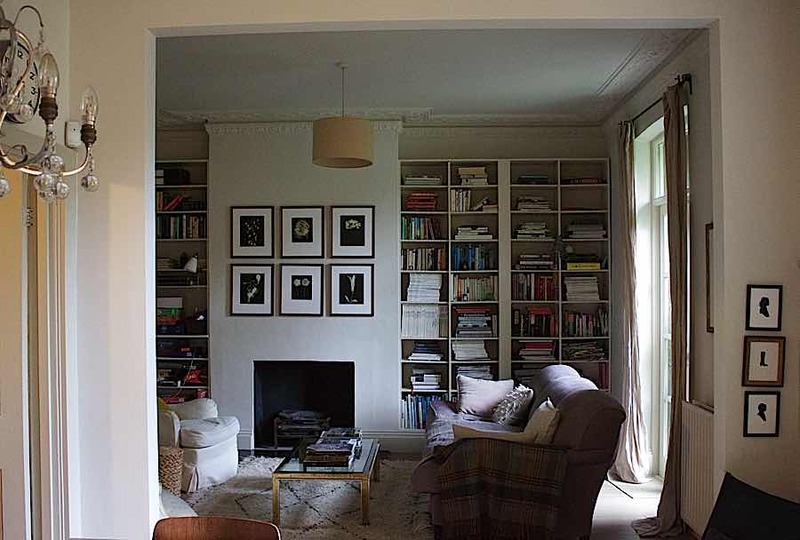 Intrigued, I visited with her recently in the West London home she shares with her family to find out more. Kind, generous and with a very interesting story to tell about her bowls, the morning flew by and she even managed to send me off full and content after serving me a delicious lunch — all in time for the afternoon school run. It is with great pleasure that I welcome Celine into the Fabulous Fabsters sisterhood as she turns 50 this week. Please help me wish her a very Happy Birthday. Thank you, Celine, for sharing your home and thoughts with us. Above: Celine keeps the things she reaches for the most on an open shelf above her kitchen counter. FF – Tell us why you decided to start Home Address? CL – I have always wanted to own a shop ever since I was a little girl. It probably helps that I love the whole shopping experience. 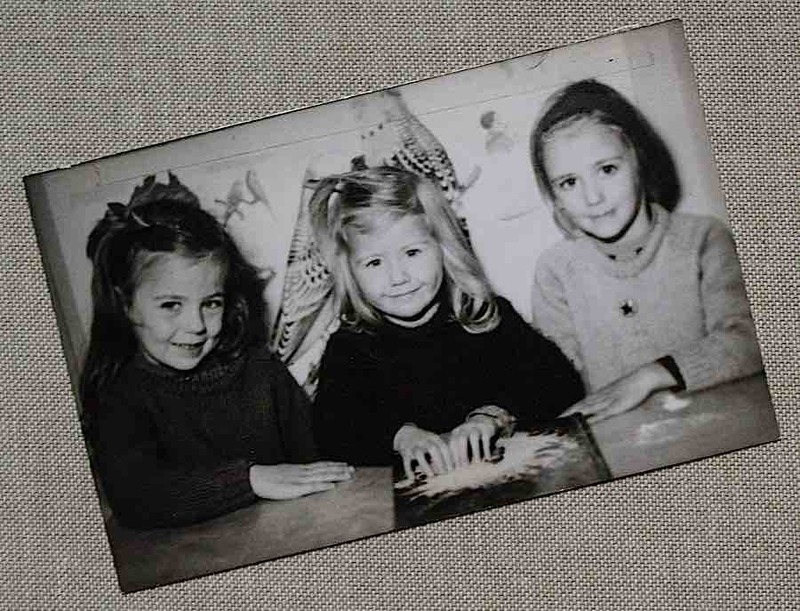 My sisters will tell you that playing shop was always my thing — I was always a bit keen on the cash register. From school girl to shop owner, I didn’t exactly follow a straight path. Before I had children, I worked in both the financial and design side of product development as a merchandiser (Debenhams, BHS Lighting, Britax) and then moved into branding (Levis). After my daughter was born, I took some time out to be with her and renovated a few houses as well. And when my son arrived five years later, I wanted to do something that I could fit around family life and decided to make use of my university maths degree. I completed an adult education certificate so that I could teach maths to adults. And when my son started school five years ago, I realised that I was staring 50 in the face. At this point, I thought it was time to open that shop! 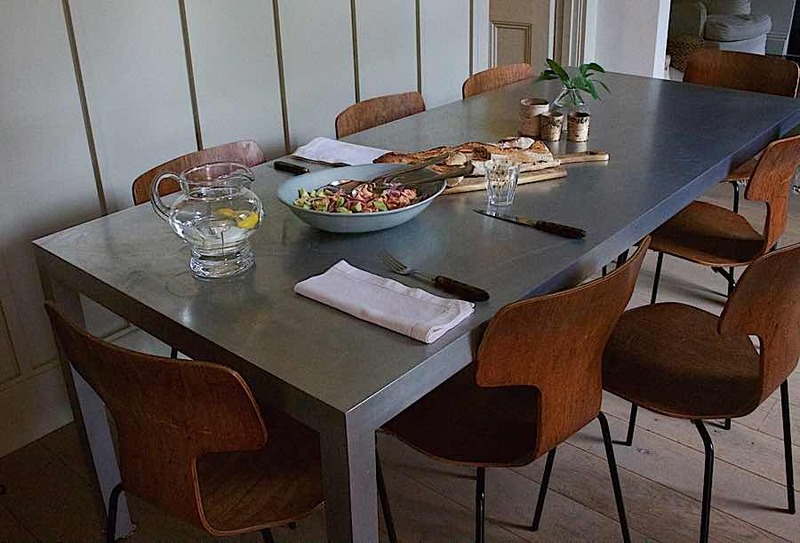 Above: Our lunch was served in a Grey Stoneware Salad Bowl, one of the key items in the Home Address core range. FF – Why do you think your bowls are so popular? CL – I think it comes back to the development concept of the Home Address core range of products — tableware basics with a simple pleasing aesthetic that will last a long time. I grew up one of six children in Derry, Ireland. We sat around the table every night, like the Waltons, and shared everything with each other and any additional guests my mother happened to include. Being able to share meals is important and I knew that I wanted my bowls to hold enough food for 8-10 people. 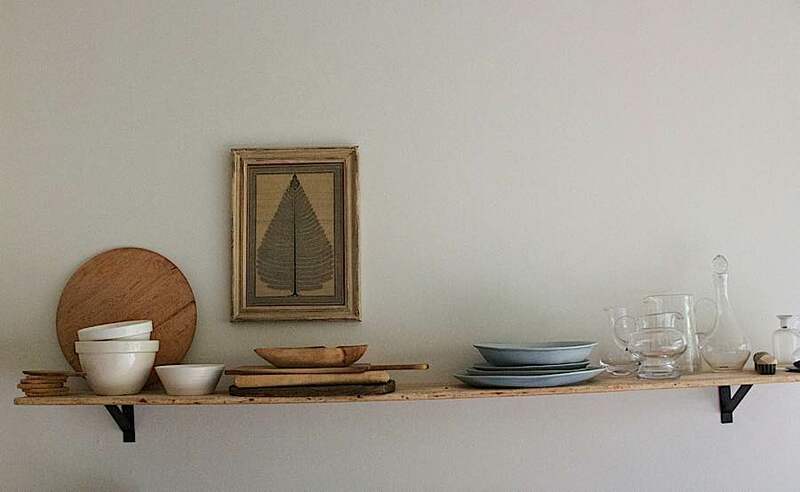 In London, we are limited for cupboard space and our tables are narrow, which is why the bowls in my core range are oval in shape as opposed to round. 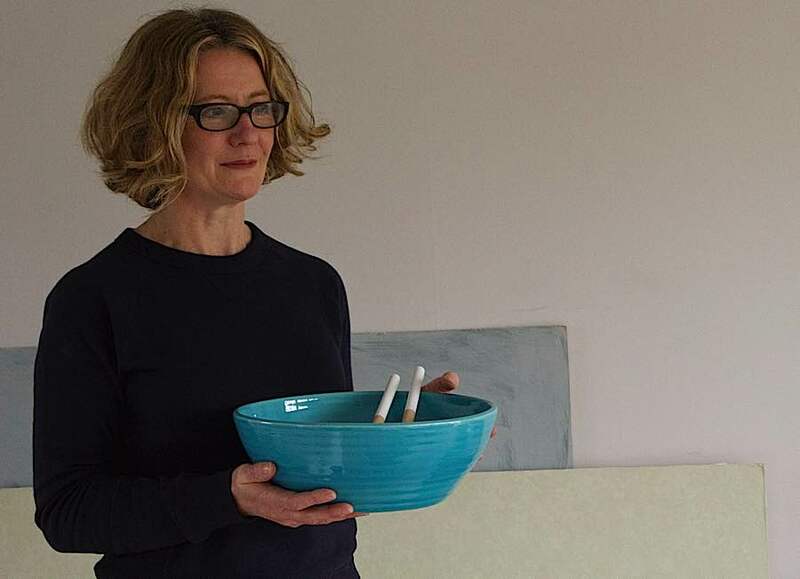 Functional, practical and attractive, these bowls do lots of different jobs, are easy to store and their thick rims mean they are strong enough to go into the dishwasher. 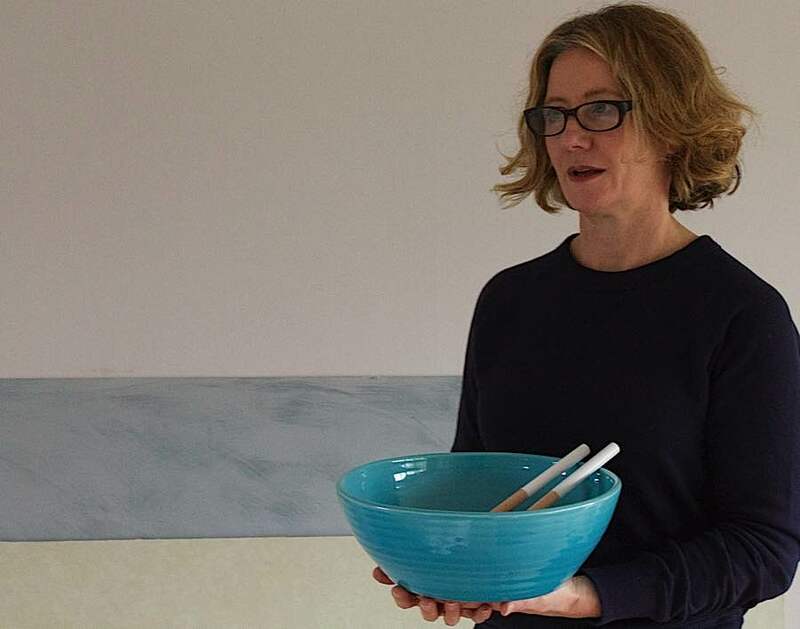 I am very pleased that restaurants like Soho Farmhouse in Chipping Norton and Fallow & Byrne in Dublin are using these bowls because this means they can withstand the demands of commercial use. Above: Celine’s large and airy living room is much like her core range — comfortable and functional — designed for simple enjoyment. FF – How have your past experiences informed and influenced Home Address? CL – When I first arrived in London from Derry, I worked on the financial side of merchandising in Debenhams. This was invaluable training for the “hard-faced” money side of the business. I realised after a few years that my primary interest was in product development and wanting to make a product as good as possible. I was lucky enough to be doing this during a time when most of the manufacturing was being done in the UK, which meant I learned how products come together on the factory floor. I do love a factory — what an amazing process it is to start with nothing and end up with something. At Levi’s, I worked on the marketing side of things with placing and promoting their Vintage Range for the UK market. It was so interesting to see how people responded to the history and detail of the vintage designs. There’s an emotional side to the things we use as much as there is a functional side. 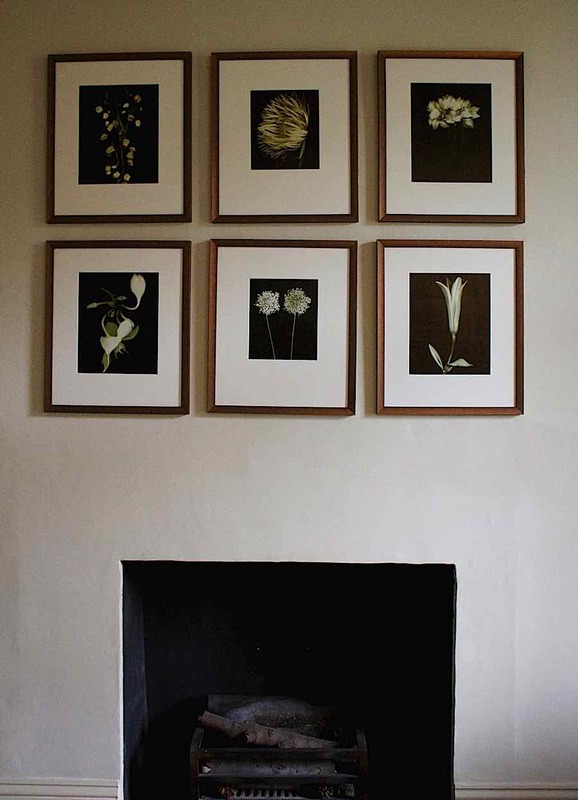 Above: A set of Joyce Tenneson’s Flower Portraits hangs above the fireplace. FF – You have made a conscious choice to run Home Address as an online shop only. Tell us more about this decision and how it works for you? CL – My children are still in school and so I was conscious that whatever I did, it had to fit around my family. The internet was the best medium for this. 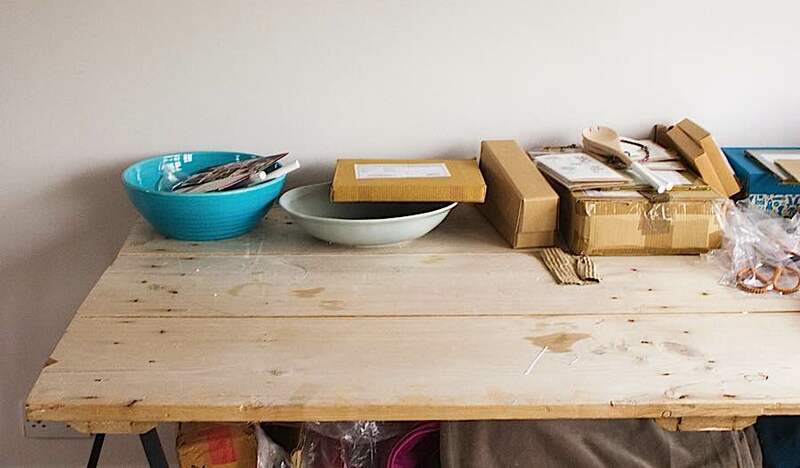 From website design to e Commerce logistics, I embarked on a steep learning curve. What I found was a community of small business owners who were so happy to help and cross-pollinate ideas. I have met people that I wouldn’t have otherwise met, including young creatives who are coming up. I’m interested in seeing how things have changed and enjoy being a mentor as well. 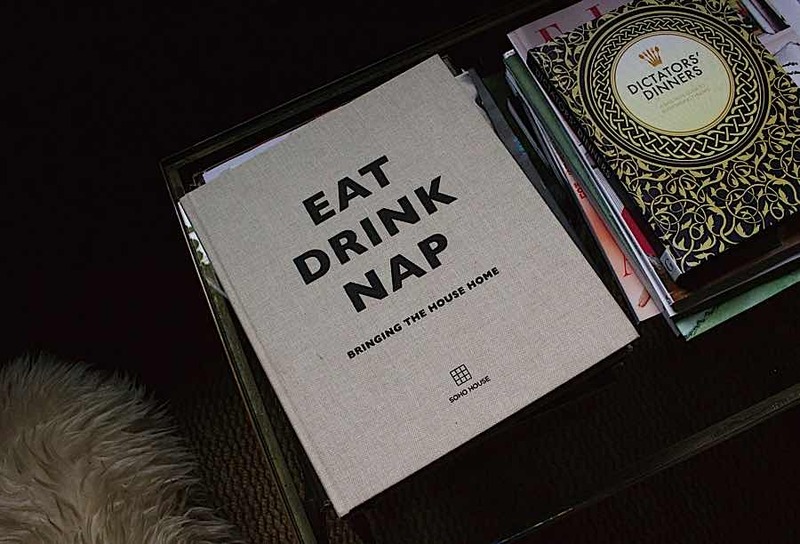 Above: Celine supplies tableware to Soho Farmhouse. CL – I’m always busy so I always have a few staples on hand for making quick meals. Tinned tomatoes because I make big batches of Jamie Oliver’s tomato sauce to freeze; tinned chickpeas for hummus or vegetable curry; and porcini mushrooms for risotto. We love rice and a favourite family meal is leftover chicken, vegetables stirred through with rice and topped with a red wine vinaigrette. Buford Brown eggs are our ultimate fast food. Eggs are so quick and the list of things that can be made with them is endless. I also get a weekly vegetable box delivered from Abel & Cole. This helps with the shopping. 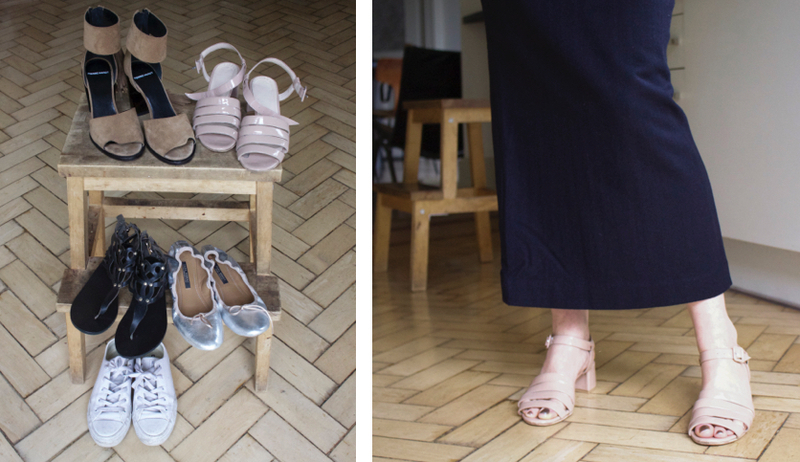 My attitude to clothes is similar to the concept of the core range behind Home Address — good quality basics that will still work well in ten years. While I used to wear jeans all the time, I have recently made the move to skirts. A skirt is a much freer garment to work in and it can take you through the day into evening easily. I tend to wear navy and khaki in the daytime. Black can be harsh and I save that for special evening functions. I am much more adventurous with my shoes except for when I’m working or on the school run. Then, it’s my white converse trainers. Above: Celine typically wears vintage style sweatshirts or crew neck cardigans because they are comfortable and easy to work in. FF – How do you feel about being 50 and what are you looking forward to? CL – I feel very positive about being 50 – a combination of having a bit more experience of life and feeling more relaxed in general than I might have done when I was younger. My mother was older when she had us, and I always remember her being young and energetic, so I suppose she was the biggest influence on my perception of a 50 year old. I feel enthusiastic about starting new projects as I get older and feel that I’m entering a new phase of my life. As my kids get older, and are less reliant, I look forward to being able to have more control over my time. I’m hoping to travel a lot more over the next ten years, and I look forward to spending more time nurturing and growing my business. Above: A shop owner’s work space. FF – What advice do you have for an aspiring shop owner? CL – Only buy what you love. Being a shopkeeper is hard work, and there will be good times and bad times. Working with product that you love helps you keep faith in yourself and motivates you to keep going. Above: The young aspiring shop owner sits between two of her sisters. Above: Bowls and shoes. Artwork by Christine Chang Hanway. A Fabulous Fabster thank you to Celine Lynch! Nicely done! It’s as if we were all invited into Celine’s living room and have already gotten to know her. One day you’ll have to meet Celine in person, Tim! I haven’t done her justice. All the best. Xtine. Thank you Jane! Christine’s pictures of my home are so lovely. Loved reading this article . A total inspiration to all women . Home Address is the product of inherent creativity, hard work, sheer professionalism, and inspired by strong traditional family values. What a sincere and genuine individual. happy birthday Celine . So proud of my lovely sister what a great piece of writing and gorgeous photos fab!